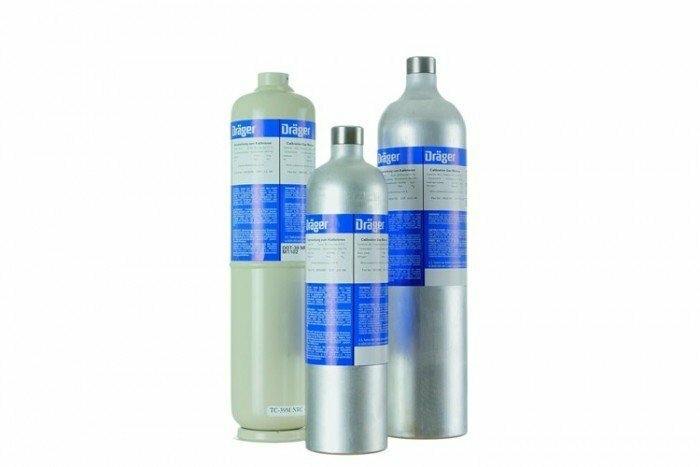 This Drager calibration gas cylinder is held in a non-refillable 58 litre (8AL) canister. It contains a multi gas mixture of 1.1 vol % propane (C3H8), 63% LEL, 25ppm hydrogen sulphide (H2S), 100ppm carbon monoxide (CO) and 19% oxygen (O2) in a nitrogen background. The calibration gas cylinder can be used on its own with a Drager Bump Test Station or else would require the use of a regulator and tubing.